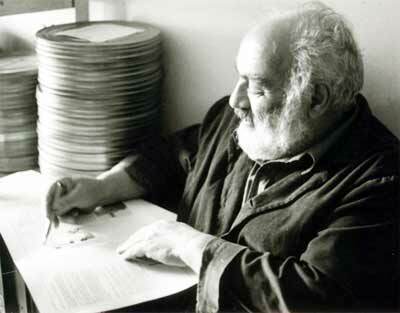 Georgian-Armenian filmmaker who was born in Tbilisi (Georgia) and died in July 1990, Paradzhanov is considered as one of the greatest contemporary filmmakers. He leaves an unfinished but essential work for Soviet and Russian film history. His work reflects the ethnic wealth of the Caucasian people. This film was shot at his strange residence, both workshop and capharnaum, on the set of his last film «Ashik Kerib», in Yerevan’s Paradzhanov museum, in Paris and Tbilisi. This portrait of a fiercely independent artist deals too with his various talents (painter, decorator, designer…). Among those interviewed Sergey Paradzhanov, Sofiko Chiaureli, Eduard Shevardnadze and others.